The history of elections in Africa shows that the continent has made significant strides in ensuring that regular multiparty elections replace unconventional mechanisms of seizure of political power. Increasingly, elections have become highly competitive for the political parties, and candidates fight for the apparent social and economic gains accrued from the state. Regrettably for citizens of many countries on the continent, regular elections in Africa have not translated into the anticipated dividends of democracy – which was ushered with much hope in the early 1990s. Instead, there have been cases of election-related conflicts – as witnessed in the Democratic Republic of the Congo (DRC) (2006 and 2011), Lesotho (1998 and 2007), Burundi (2016), Kenya (1992, 1997 and 2007), Madagascar (2007), Zimbabwe (2005 and 2008), Zambia (2015 and 2016), Côte d’Ivoire (2010), Guinea (2015) and Uganda (2016) – to mention a few. In the majority of these cases, the political elite have been accused of manipulating the electoral process in their favour.Consequently, the electoral environment in most countries has become more complex in terms of democracy and governance, amidst high demands from citizens for greater participation and accountable governance. In their continued search for alternative leaders to deliver the social and economic dividends of governance, political leaders in power have been faced with two major alternatives: constrict the democratic space by restraining dissenting political voices, or engage in policy reforms (sometimes under popular duress) in response to citizen demands. Election-related conflicts can take place during all the critical points of the electoral cycle, although the most volatile moments prone to conflicts are during the election and post-election phases. 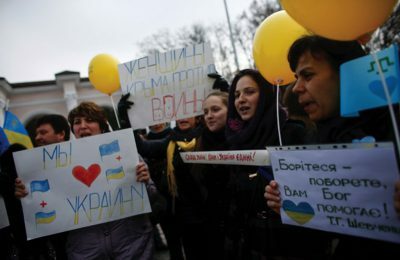 Whereas pre-election periods are largely without problems, there is a notable trend on the continent of election-related disputes escalating in the post-election period. These election disputes (including non-acceptance of election results) are often accompanied by violence, which undermines regional and continental efforts to attain peace and prosperity.The violence often takes place against the background of weak or non-existent conflict management mechanisms.1 In most countries, electoral violence has mainly been addressed through the court system and mediation processes led by regional and subregional bodies such as the African Union (AU), Southern African Development Community (SADC), East African Community (EAC), Economic Community of West Africa States (ECOWAS) and the Common Market of Eastern and Southern Africa (COMESA). In the case of courts of law, cases either take too long to resolve or get thrown out of court due to “lack of evidence”. Indeed, the judiciary in a number of countries has been found to be glaringly biased towards the governing parties. In the case of intervention by regional bodies, the resolution of conflict is primarily a Track I diplomatic process involving eminent persons appointed by member states. Because of being interstate-driven, it is often handicapped by political considerations. The general shortcoming of both court systems and intergovernmental bodies is that they have not delivered long-term solutions to electoral problems and, as a result, election-related conflicts have become a recurrent phenomenon in Africa. Given this shortcoming, Track II dispute resolution mechanisms (citizen diplomacy that makes use of people outside the traditional diplomatic sphere) have been adopted where electoral mediation is spearheaded by civil society. Using the case studies of the DRC, Lesotho and Kenya, this article compares different approaches to electoral mediation to establish their effectiveness or lack thereof.These countries present unique political and geographical settings, ideal for a comparative analysis. For example, located in the central African region and due to its sheer size, politics in the DRC has a spill-over effect on the Great Lakes region and beyond. Kenya, on the other hand, is known for its ethnic-based predatory politics – which, given its geographic location in East Africa, has an effect on the stability of the entire subregion.2 Lastly, Lesotho is the only country in Africa that is entirely landlocked by another country, South Africa. Its politics and economy are largely influenced by what happens in South Africa and, therefore, mitigation of any political instability is necessarily South Africa’s concern. 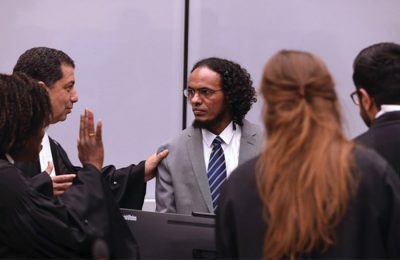 This article has four sections, starting with a brief conceptual understanding of electoral mediation.This is followed by case studies, focusing on elections and conflict as well as mitigation measures adopted in each of the three countries. The next section reviews some lessons learned, after which the final section provides a conclusion and recommendations. There is a general consensus on the meaning of mediation. According to International IDEA, mediation is a structured process where an impartial third party, typically without decision-making authority, assists others to negotiate a mutually acceptable outcome to a dispute. 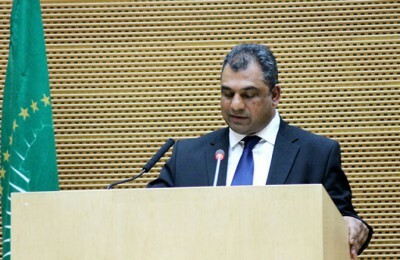 The chief task of the mediator is to determine the way talks are organised and major issues are sequenced and worked on, so as to help the parties find a fair and lasting agreement.3 Electoral mediation is therefore a mechanism to deal with election-related disputes during the electoral cycle. Based on this, we assert that contrary to conventional practice, the mediation of electoral disputes is not the exclusive preserve of political parties or statutory bodies, but should also involve broader civil society. It should be a collaborative endeavour between the election management bodies, political parties and all other stakeholders with the skills to contribute to the mitigation of the conflict. It is with this understanding that we assess three case studies of electoral mediation – in the DRC, Lesotho and Kenya. 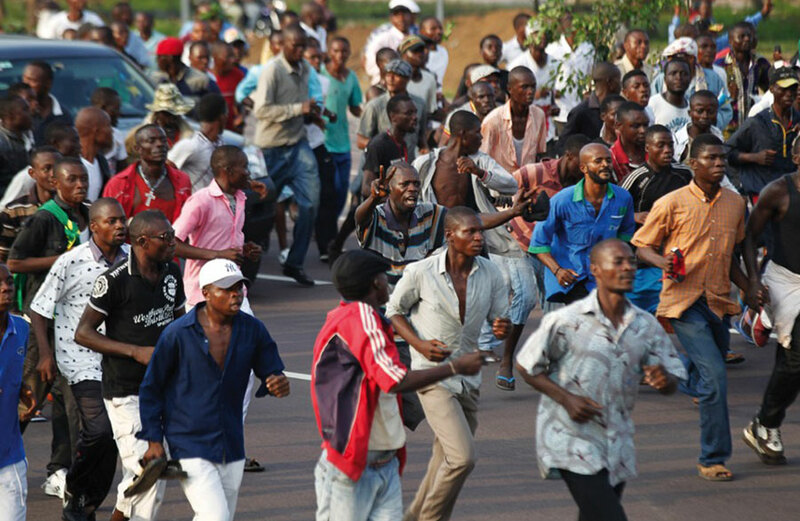 The second post-civil war presidential and parliamentary elections in the DRC, held in November 2011, were marred by a deadly conflict,following the announcement of President Joseph Kabila’s victory over Etienne Tshisekedi. The conflict resulted from results that were disputed as fraudulent by the opposition political parties and candidates. According to the Carter Center observer mission report,4 an unusual 100% voter turnout in most polling stations in Kabila’s stronghold of Katanga provincewas noted, where Kabila attained 95% of votes cast. 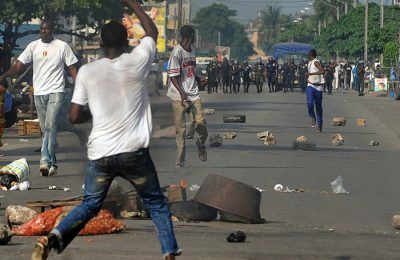 On the other hand, in Kinshasa, which was Tshisekedi’s stronghold, the Carter Center reported that the results of more than 4000 polling stations were unaccounted for. Kabila was declared the winner and subsequently inaugurated as president for a second term. At the same time, Tshisekedi also declared himself as the duly elected president, thereby creating a crisis of legitimacy and political polarisation of the country, which subsisted throughout the electoral cycle that followed. In the pre-electoral phase, Kabila changed the electoral system from a two-round system – which was used in the 2006 elections – to a simple first-past-the-post (FPTP) system for the 2011 elections, thus heightening the stakes in the electoral contest. The two-round system required that a candidate needed 50%+1 votes to win the election, and a failure to reach this would result in a run-off election between the top two candidates. This system was changed to a simple majority FPTP system, which means a candidate with the highest number of votes wins, regardless of the percentage won. A new election management body (EMB), Commission Nationale Electorale Independente (CENI), led by Pasteur Ngoy Mulunda, a perceived ally of President Kabila, was established in February 2011, just a few months before the November polls. This meant that the newly created EMB had limited lead time to prepare and deliver a credible electoral process.5 Consequently, the organisation faced technical, operational and logistical challenges that resulted in a deadly electoral stand-off. A National Mediation Commission of the Electoral Process (CNMPE), tasked to resolve election-related conflicts in the DRC, was established in November 2011 under the aegis of the United Nations Organization Stabilization Mission in the DRC (MONUSCO), barely one week before the polls. Although hailed as a home-grown solution, the CNMPE did not have the trust of all the electoral stakeholders, as its decisions were often subject to the whims of the CENI chairperson, who was largely perceived as a friend of the president. Multilateral post-electoral mediation efforts by the AU, SADC, COMESA, the International Conference on the Great Lakes Region (ICGLR) and the Economic Community of Central African States (ECCAS) were not successful. This was partly because these organisations deployed election observer missions whose assessments openly failed to discredit a flagrantly flawed electoral process.6 Thus, in the ensuing post-electoral diplomatic efforts to quell the conflict, these intergovernmental organisations had seemingly failed to embody the principles of impartiality and neutrality, which are critical for any successful conflict mediation process. 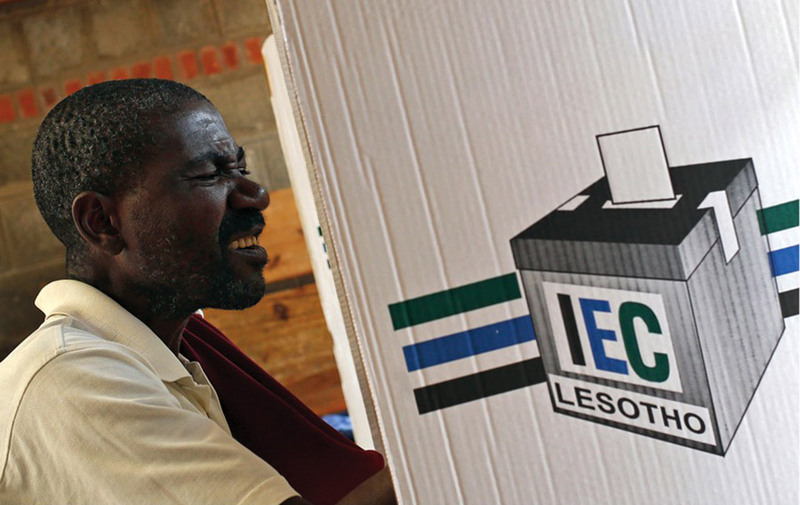 It can safely be argued that the history of elections in Lesotho is a history of conflict, because almost all elections since the country’s independence in 1966 have either been preceded or followed by violence. The 1998 political disturbances – triggered by the election victory of the newly formed Lesotho Congress for Democracy (LCD), which had earlier elbowed out the ruling Basutoland Congress Party (BCP) through a parliamentary manoeuvre engineered by Prime Minister Ntsu Mokhehle – ushered in a new dawn of electoral mediation, as stakeholders and regional bodies started exploring ways to mitigate election-related conflict.Despite the epoch-making electoral reforms that led to the adoption of a more inclusive mixed member proportional representation (MMP) electoral system – a combination of the FPTP (constituency) votes and proportional representation (PR) (party) votes – the two main political parties entered into pre-election political alliances with smaller parties, precipitating the conflict after the 2007 elections.The LCD formed a pre-election alliance with the National Independent Party (NIP), while the All Basotho Convention (ABC) formed an alliance with the Lesotho Workers Party (LWP), to maximise PR seats in the National Assembly. In the aftermath of the election, it became apparent that the alliance arrangement had circumvented the spirit of the MMP electoral system, because only the smaller parties were considered by the EMB in the allocation of 40 PR seats, without having contested the constituencies as required by the electoral system. This allocation distorted the support of the alliances by giving more seats to the LCD-led alliance, while taking some seats away from the ABC-led alliance. The ABC-led alliance nominated the ABC leader as leader of the opposition, but this was refused by the speaker of parliament – who, having been elected on an LCD ticket, was ostensibly frustrating the opposition. The issue of leader of the opposition then became an escalating factor in the conflict, leading to a political stalemate. Amidst the political tension, two dispute resolution processes unfolded. First, the allocation of seats was challenged in court, but the court dismissed the complaint on technical grounds. It held that the party which had lodged the court case did not have a legal standing to petition the court on the reallocation of seats. It also concluded that since the seat allocation by the EMB was final, it lacked the jurisdiction to order reallocation. This court decision led to the matter degenerating into conflict characterised by parliamentary sit-ins, stayaways and civilian-military confrontations. The second process was the SADC-led mediation by the former president of Botswana, Ketumile Masire. The SADC mediator was forced to retire in 2009, however,citing non-cooperation from the LCD government.This effectively marked the collapse of the SADC-led mediation. Thus, these two processes compounded the conflict rather than resolved it. Civil society, led by the Lesotho Council of Non-governmental Organisations (LCN) and the Christian Council of Lesotho (CCL), rescued the situation by providing a platform for continued dialogue between conflicting parties, and shifted the dialogue focus from seat allocation to the reform of electoral laws for future elections. It turned the mediation process into an internally driven and wholly home-grown process. The United Nations Development Programme (UNDP) and SADC only provided technical and financial support.7 These civil society mediators designed the structure of the dialogue, recorded deliberations and wrote reports. 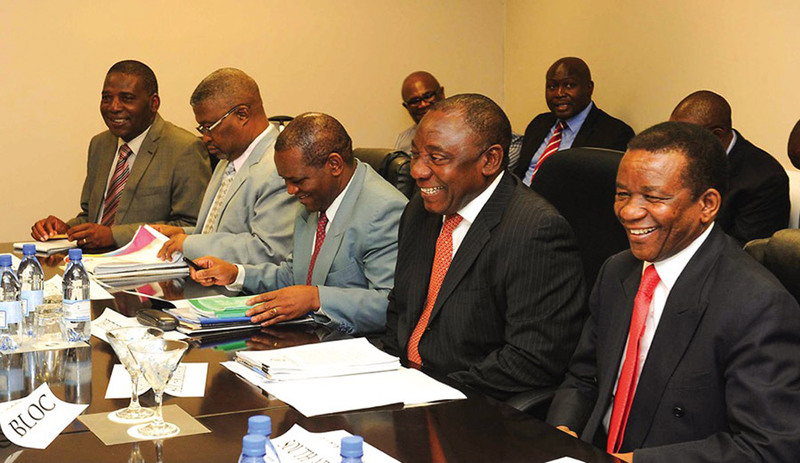 Although civil society proved vital in mediating the post-2007 electoral dispute, this was regrettably overlooked by SADC and its mediator, Cyril Ramaphosa – who, in addressing the resurgent post-2012 electoral and political problems in Lesotho, only paid scant attention to these lessons learned from civil society’s mediation efforts. Instead of providing space for dialogue to deal with the underlying causes of the conflict, the SADC process rushed Lesotho into holding elections in 2015. Consequently, the country’s gains since 2007 have been replaced by more instability, strained interparty relations and deteriorating civil-military relations. The announcement of the December 2007 Kenyan election results triggered lethal violence,with about 1500 deaths and over 300000 internally displaced persons and refugees.8 President Mwai Kibaki of the Party of National Unity (PNU) won a hotly contested election against Raila Odinga of the Orange Democratic Movement (ODM).Having been ushered into power through the National Rainbow Coalition (NARC), with strong support from Odinga and other opposition allies in 2002, Kibaki was seen as having reneged from the 2002 electoral pact of sharing political largesse among the key players of NARC, of which Odinga and his political camp were to be rewarded equitably. Instead, Kibaki engaged in a process of marginalising Odinga and his political associates, which culminated in a fall-out and the sacking of all cabinet ministers, who were termed political dissidents. The 2005 constitutional referendum then led to the birth of the ODM, which successfully campaigned against the draft constitution that was supported by Kibaki, thereby increasing the political rift along the Kibaki-Odinga axis. Therefore, the 2007 elections that followed became the crucible for political vengeance. 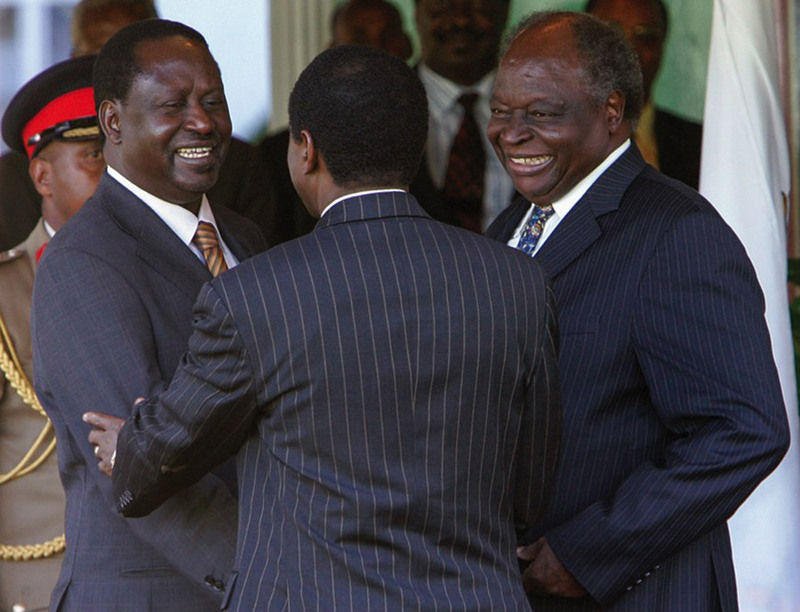 Following Odinga’s claim that he was the bona fide winner of the December 2007 polls, Kibaki was hurriedly sworn in on the evening of 30 December 2007 amid opposition protests, which were silenced by a news blackout and a security clampdown. 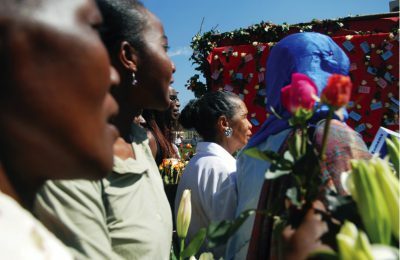 The violence gained ethnic dimensions, and the underlying narratives that emerged around it pointed to deep-rooted and unresolved historical grievances since Kenya’s independence in 1963. A 40-day mediation effort ensued, which combined both Track I and Track II diplomacy. This was riddled with challenges as both parties to the conflict adopted a zero-sum attitude,mirroring the electoral contest.9 The first attempt at resolving the conflict was successfully undertaken by Concerned Citizens for Peace, a locally driven initiative that sought to mediate the conflict. However, a high level of distrust among Kenyans made it difficult to embrace this locally driven crisis resolution mechanism.This left external options as the best recourse for conflict resolution. Consequently,mediation attempts were made by Archbishop Desmond Tutu of South Africa, under the umbrella of the All Africa Conference of Churches. These only succeeded in influencing the ODM to engage in a dialogue. 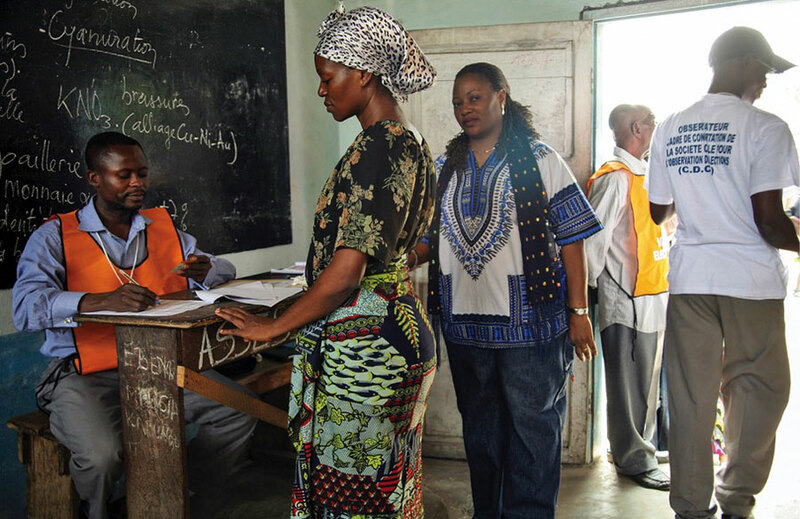 The case studies above offer some useful lessons for electoral mediation processes in Africa. 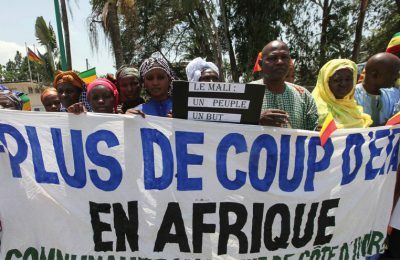 Three lessons are worth mentioning.First, in both Kenya and the DRC, locally driven solutions to electoral crises have not been successful in contexts where there is deep-rooted mistrust, and where winning elections is inextricably conceived to be the primary source of socio-economic dividends for governance. Second, while intergovernmental institutions have the power to play a positive role in mediating (post-) electoral crises, this ability can easily be impaired by their very own undertakings in observer missions, which fall short of impartial assessment of electoral processes. This was the case in the DRC, while in Kenya, the AU was a palatable mediator as it had not deployed an observer mission and therefore had not pronounced itself on the elections. More so, power-sharing can be a crisis-exit solution to electoral-related conflicts where the outcome is not only contested but where the contested results themselves indicate a very close differential margin between the candidates, as was the case in Kenya. However, power-sharing as a solution to contested elections can easily be abused by the candidates (particularly incumbents), who may not want to relinquish power when defeated in elections. Third, external interventions by international, regional and subregional bodies can be helpful in a local situation, but only to a certain extent, as was observed in the Lesotho case study. The Track II civil mediation by civil society in Lesotho fits well within the notion of “infrastructures for peace”, which encourages the establishment of social structures at different levels of society with the specific objective to assume responsibility for peace and conflict resolution in their own context.Electoral reforms were an outcome of this intervention. 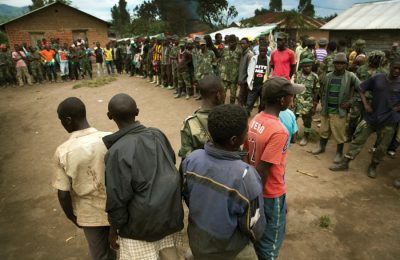 This article draws attention to various approaches used to deal with electoral disputes, which have become a permanent feature of many electoral processes on the continent.The case studies of the DRC, Lesotho and Kenya clearly show that the factors leading to these disputes are as varied as the ways of dealing with them. There is no one-size-fits-all approach to the resolution of electoral disputes, due to socio-economic, political and historical contexts. For instance, whereas the use of external actors worked in Kenya, it did not work in Lesotho. However, it is clear from the three cases that the efficacy of electoral mediation depends on its acceptability by the parties in conflict. Regardless of the approach used, electoral mediation should be inclusive in order to restore public confidence in electoral processes. In the cases where external actors are used, it is recommended that other parallel programmes geared towards national cohesion should be pursued – for example, in contexts where there are deeply rooted and intractable conflicts, such as in the DRC and Kenya. The Lesotho case study underscores the importance of dialogue as a primary conflict resolution mechanism.It is recommended that this dialogue approach should be emulated elsewhere in the region. SADC Lawyers Association (2016) Electoral Mediation Manual. Unpublished, p.30. For more insights on ramifications of election-related conflicts beyond borders, see Gerenge, Robert (2014) 2013 General Elections in Zimbabwe and Kenya: Lessons Learned for Africa and Beyond. South African Institute for International Affairs Policy Brief, 98, p.1. Sean, K. and Haysom, N. (2016) Electoral Crisis Mediation: Responding to a Rare but Recurring Challenge. Stockholm: IDEA. The Carter Center (2011) ‘Presidential and Legislative Elections in the Democratic Republic of the Congo’, observer mission report, Available at:<https://www.cartercenter.org/resources/pdfs/news/peace_publications/election_reports/drc-112811-elections-final-rpt.pdf> [Accessed November 2011]. Pastor Ngoy Mulunda, who comes from Katanga, the same province as Kabila, was known to be one of the founding members of Kabila’s political party, the PPRD, in 2002. Polity.co.za (2011) ‘Joint statement by the AU, SADC, ECCAS, ICGLR and COMESA, on the General Elections in the Democratic Republic of Congo (30/11/2011)’, Available at: <http://www.polity.org.za/article/joint-statement-by-the-au-sadc-eccas-icglr-and-comesa-on-the-general-elections-in-the-democratic-republic-of-congo-30112011-2011-11-30> [Accessed November 2011]. UNDP (2012) Lessons Learned in Mediation of the Electoral Dispute in Lesotho: the Role of Joint UNDP-DPA Programme on Building National Capacities for Conflict Prevention in Supporting the Resident Coordinator and United Nations Country Team. Maseru: UNDP, p.4. IRIN (2008) Republic of Kenya Humanitarian Country Profile. United Nations Office for Coordination of Humanitarian Affairs (UNOCHA). Also see: Waki Commission (2008)Report of the Inquiry of Post-electoral Violence by Waki Commission, p.305. Khadiagala, Gilbert (2008) Forty Days and Nights of Peace Making in Kenya. Journal of African Elections, 7 (2), pp. 4–32. Matlosa, K., Khadiagala, G. and Shale, V. (eds) (2010 ) When Elephants Fight: Preventing and Resolving Election-related Conflicts in Africa. Johannesburg: EISA.